Even though students have been complaining about the cost of textbooks for about as long as textbooks have been in use, recent numbers from the American Enterprise Institute paint a shocking picture: an 812 percent increase in the cost of textbooks since 1978. That’s a bigger jump than the increases in tuition, housing, or health care. And that increase is hitting students in more than just the pocketbook. According to a report issued by the U.S. Public Interest Research Group, 65 percent of college students choose not to buy a textbook because it’s too expensive, and 94 percent of those say that they suffer academically because of it. Johnson is the Library Coordinator for Affordable Learning Georgia, an initiative of the University System of Georgia that aims to increase access to a college education by making educational resources more affordable through support of the adoption, adaption, and creation of Open Education Resources (OER), freely accessible, openly licensed materials that are used for educational purposes. Dr. Robert Bledsoe, Assistant Chair, Department of English and Foreign Languages, is the program’s Campus Champion. To illustrate one of the many frustrations students experience, he picked up a literary anthology that was about as thick as a box of Kleenex. When the team-taught humanities program was changed from two four-unit classes to two three-unit classes, the team of instructors took advantage of the opportunity to utilize the Affordable Learning Georgia grant to create and gather their own materials. 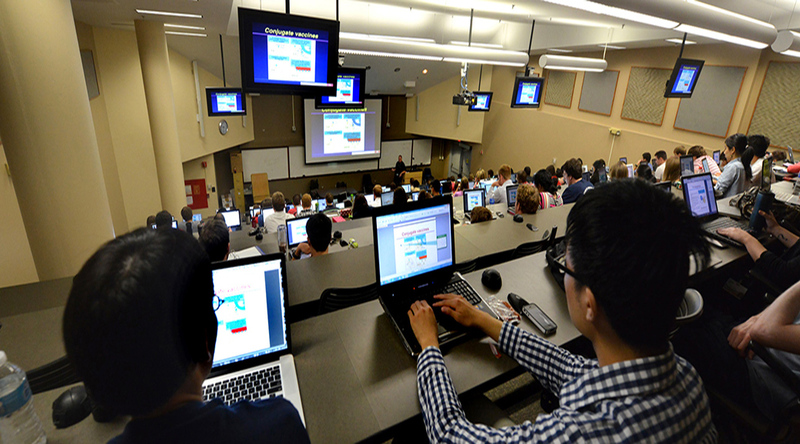 Previously, students could spend as much as $500 on books and materials for the course. Though the move worked for the humanities courses, getting the faculty and students to transition to nontraditional study materials, whether they’re OERs or articles or smaller books, isn’t always easy. The adjustment to more affordable alternatives tends to be more difficult in the humanities because of copyright issues, Bledsoe said. Unlike their counterparts in the sciences, humanities teachers are often using materials that someone has ownership of – images of art works, recordings of musical performances, or literature. Even translations of classic works in the public domain have issues, since many were published over a hundred years ago, when language was used differently than students are used to it being used now. While Affordable Learning Georgia is an organized effort to change things at a state level, teachers have been working to alleviate the burden of textbook costs for years. In December, Dr. David Hunt, Assistant Professor of Sociology, was recognized at the initial meeting of Affordable Learning Georgia’s “Symposium on the Future of the Textbook” for his efforts in adopting the use of an open access textbook for his Sociology 1101 course. He started using the OpenStax Sociology book during the summer of 2012, and according to the University System of Georgia, he’s saved his students more than $11,000. Supported by the Bill and Melinda Gates Foundation and Rice University among others, OpenStax College is a nonprofit organization committed to improving student access to quality learning materials. They produce several peer-reviewed texts in a variety of formats that are either free or, in the case of a printed book, at cost. The reasoning against OERs, that the cost of vetting the authors and the material is expensive, is something Hunt rejects. As Interim Director of Distance Education, Hunt is representative of a new breed of educator. He teaches completely online, and his intro class uses the free sociology book. “That’s a very different model of education, but it’s an exciting one,” he said. For more information about Affordable Learning Georgia, click here. Dr. H. David Hunt, Assistant Professor of Sociology, was appointed GRU Interim Director for Distance Education effective Aug. 11, 2014. The announcement was made by Provost Gretchen Caughman. As Interim Director, Dr. Hunt will collaborate closely with administrators and faculty to develop business plans for new online programs and courses. He will be responsible for the administrative implementation and support of online teaching and learning to include ensuring compliance with regulatory and accreditation requirements. 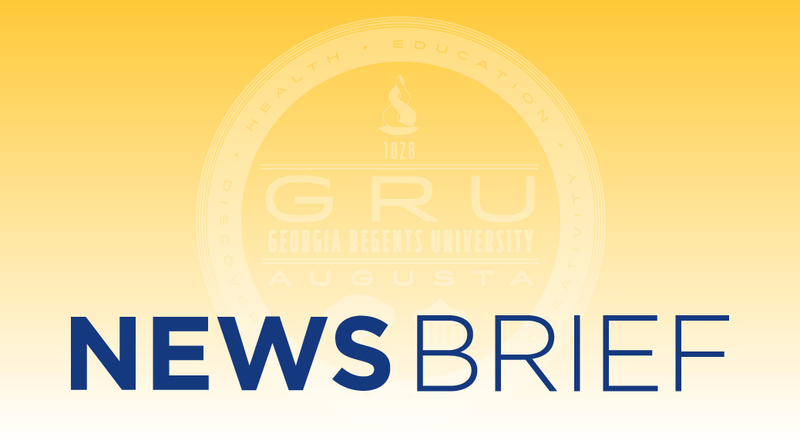 In collaboration with the Provost’s Office, Dr. Hunt will provide leadership in the development and implementation of an evolving vision for online learning at GRU that embraces the institution’s multifaceted mission, the educational needs of the state of Georgia, and exemplary online pedagogical practice. “I appreciate Dr. Hunt’s gracious acceptance of this position and am looking forward to working with him in his role as Interim Director,” says Dr. Caughman. Dr. Hunt earned his Bachelor of Science and Master of Science degrees in sociology from Brigham Young University and his doctorate in sociology from the University of Illinois, Urbana-Champaign.